BottleTaps will be hosting a Mother’s Day Brunch and Paint Day Sunday, May 12th. 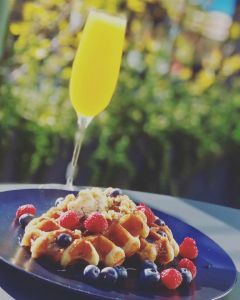 We will be serving up Brunch & Bottomless Mimosas from 11am-3pm. Paint the Town will be here from 1-3 for Paint Day to paint 2 Beer or Wine Glasses ( pricing separate for painting). You can purchase your ticket at paintthetown.us. So come bring your Mother down for a great morning of delicious brunch items, mimosas (or beer), followed by painting some awesome glasses!